Literature (2006), co-edited with Maria Nikolajeva. 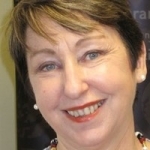 Clare Bradford is Emeritus Professor in the Faculty of Arts and Education at Deakin University, Australia. From 2007-2011 she served as President of the IRSCL; in 2009 the Trudeau Foundation (Canada) named her as its first Visiting International Fellow, and during 2010 she was a visiting scholar at the University of Winnipeg's Centre for Young People's Texts and Cultures. In 2011 she was elected as a Fellow of the Australian Academy of Humanities. 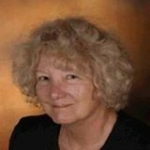 Clare Bradford has published 13 books and over 80 essays and journal articles on children's and other literature. Her most recent book is The Middle Ages in Children's Literature (2015), which explores how the Middle Ages are used and abused in medievalist texts for the young--that is, post-medieval texts which respond to and deploy medieval culture. Mavis Reimer is Dean of Graduate Studies and Professor of English at the University of Winnipeg. She was the Canada Research Chair in Young People’s Texts and Cultures between 2005 and 2015, lead editor of Jeunesse: Young People, Texts, Cultures between 2009 and 2015, and President of the International Research Society for Children’s Literature between 2011 and 2015. 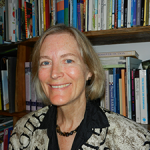 She is the founding director of the Centre for Research in Young People’s Texts and Cultures (CRYTC) at the University of Winnipeg; founding President of the Association for Research in Young People’s Cultures; an editor of five collections of scholarly essays, including Such a Simple Little Tale: Critical Responses to L.M. Montgomery's Anne of Green Gables (1992, 2003) ; co-author, with Perry Nodelman, of the third edition of The Pleasures of Children’s Literature; and author of more than thirty scholarly essays and chapters on the subject of young people’s texts and cultures. Kimberley Reynolds is the Professor of Children’s Literature in the School of English Literature, Language and Linguistics at Newcastle University in the UK. 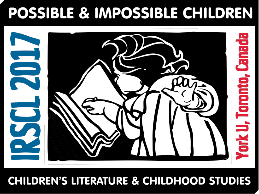 She is a Past President of the IRSCL, Senior Editor of International Research in Children’s Literature and in 2013 she received the International Brothers Grimm Award for contributions to children’s literature research. Recent publications include Left Out: The Forgotten Tradition of Radical Publishing for Children in Britain, 1910-1949 (2016). John Stephens is Emeritus Professor in English at Macquarie University, Australia. His research over the past 30 years has focused on the potential of culture and literature to shape how children are perceived in the world and how they perceive themselves. His books have thus dealt with issues such as identity, gender, and self-fashioning, and with how familiar stories are adapted in fiction and film to express the aspirations and ideologies of the society which adapts them. Peter Hunt was the first full Professor of Children's Literature in the United Kingdom. He has lectured at over 150 universities, colleges and learned societies in 23 countries, and has written or edited 26 books and nearly 500 papers and reviews on the subject. In 2003 he was awarded the Brothers Grimm Award for services to children’s literature from the International Institute for Children’s Literature, Osaka, Japan. 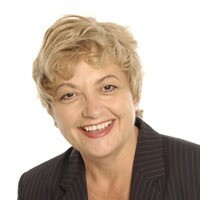 Suzanne Pouliot is Professor Emerita in the Faculty of Education at l’Université de Sherbrooke, Québec. Her research interests include representations of alterity in Québecois literature for children and youth. She was honorary president of the 2016 Acfas (l'Association francophone pour le savoir) Congress, organized specifically around this theme. She has published seven books, including three co-authored texts, such as Les représentations de l’enfant (with Noëlle Sorin) and Les bébés-livres ou l’émergence de l’écrit (with Johanne Lacroix). She was awarded the Frances B. Russell Prize (International Board on Books for Young People Canada) for her work on literatures for young people. She has received two three-month study grants: the first to go to Munich, Germany, and the second to go to Osaka, Japan. She is also the author of “Children’s Literature in Quebec and French-Speaking Canada” in the International Companion Encyclopedia of Children’s Literature. 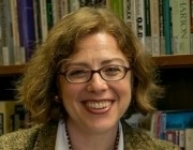 Robin Bernstein is a cultural historian who researches performance and childhood to produce new knowledge about US cultural history, and particularly American formations of race, from the nineteenth century to the present. She is Professor and Chair of Studies of Women, Gender, and Sexuality and Professor of African and African American Studies at Harvard University. Her most recent book, Racial Innocence: Performing American Childhood from Slavery to Civil Rights, won five major awards, including from the Society for the History of Children and Youth, the Children’s Literature Association, and the International Research Society for Children's Literature. 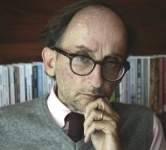 Daniel Goldin Halfon has been an editor of children’s books and has been involved in publishing, writing and speaking on culture and the written word for more than 25 years. He stimulated the growth of children's books in Latin America by launching, in 1991, the children's literature collections for the publishing group Fondo de Cultura Económica. He is currently Director of the Biblioteca Vasconcelos, the library with the most followers on social media in the world. In 2013 he was named as one of the 10 most influential editors in Ibero-America. 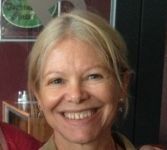 Anthropologist Michèle Petit worked from 1972 to 2010 at the Centre National de la Recherche Scientifique (Paris) where she is now Ingénieure de recherches honoraire. Since 1991, she has researched reading practices in relation to written culture, especially where access to culture is not facilitated by social or family contexts. She first conducted research in France, in rural and suburban areas, and then became interested in areas in crisis, particularly in Latin America. Her work advocates that literature, oral and written, and art in all its forms, should have a place in everyday life, especially that of children and youth.